Photography is a medium that lends itself to storytelling, from the fantastical characters and decadent sets in David LaChapelle’s portraiture, to using language and poetry to create a narrative about gender, race, and politics in America like Lorna Simpson. What stories are you trying to tell with your photographs? How does the idea of storytelling manifest itself in your practice? 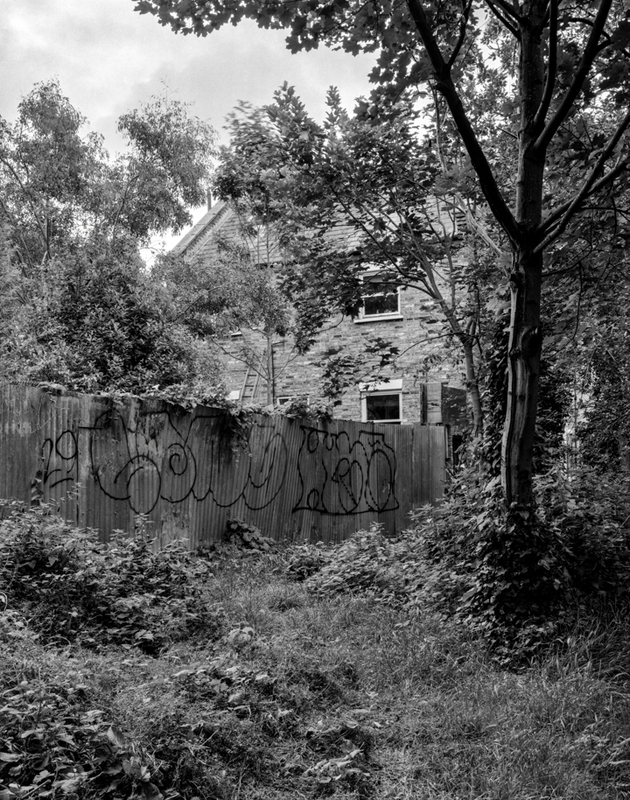 For Open Call: Storytelling, we are looking for photographs that engage with narrative. 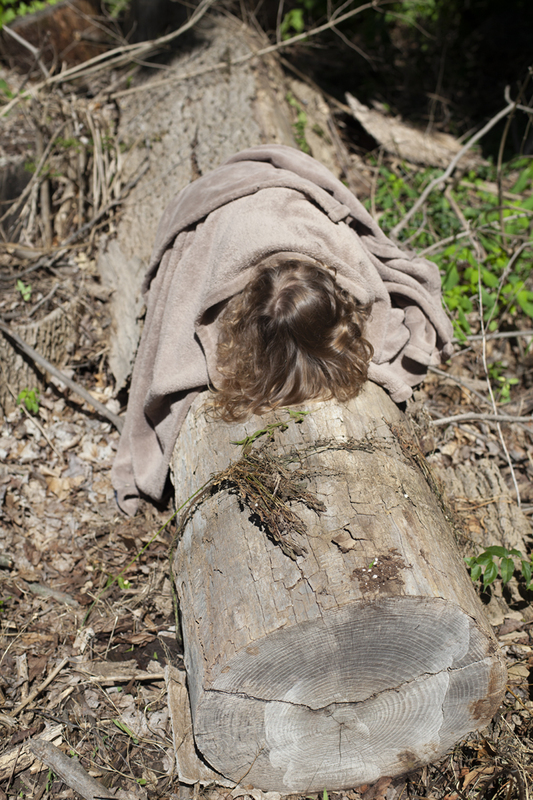 In this image, my daughter Isa lies beneath a tan blanket on an Ash log that was felled after being infected by the Emerald Ash Borer. The Ash Borer has dramatically transformed the forest canopy around my childhood home, where Ashes once made up 20% of the tree population. The vulnerability of all living things to environmental changes seems particularly pronounced when looking at these once majestic trunks and their many age rings. After my children were born, predictions about the impact of climate change on future generations took on new meaning for me. My experience of motherhood has been wearisome yet serene—its moments of depth cut through the noise of daily life, just as the stress and fears of parenting whittle away parts of my being. 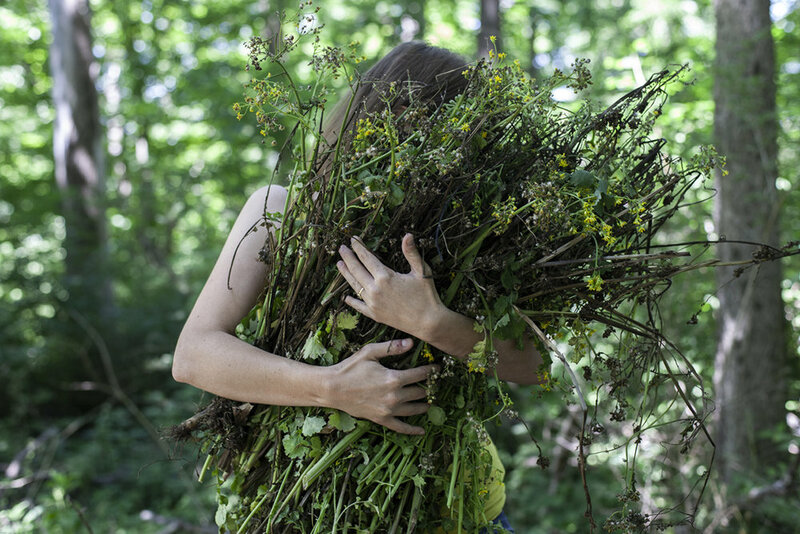 Exploring the possibilities of considering impending environmental crises from an autobiographical point of view, my series Mothering in the Age of Climate Change is rooted in my own sense of the pleasures and fears of mothering on a warming planet. 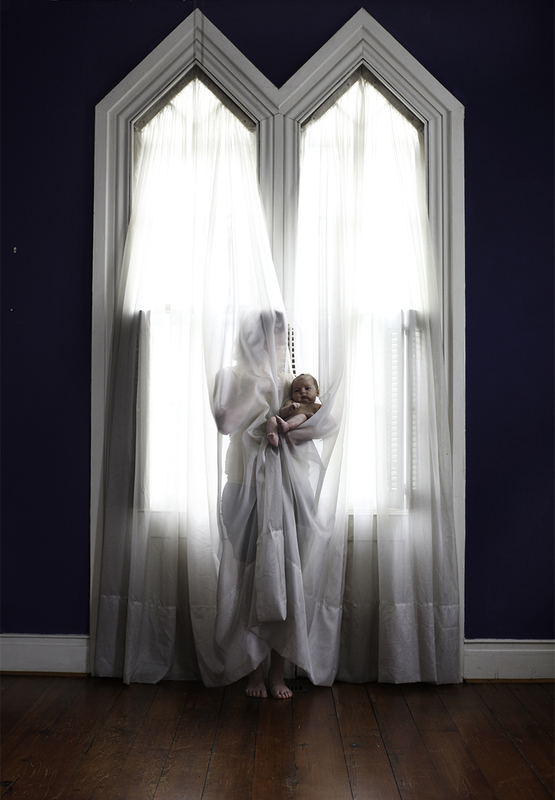 In pictures of myself and my daughters, I use metaphoric strategies such as the erasure of the human body or the layering of representations of time to create a narrative that marries the immediacy of human connection with my fears of an uncertain future. Forrest Simmons is a photographer, video artist, and stand-up comic from Jonesboro, Georgia. He has studied at the Savannah College of Art and Design and the International Center of Photography. He is currently an MFA candidate at Columbia College Chicago. The series What Else Is There? is inspired by theoretical physics, and it imagines a work much like our own, but where the laws of nature and objective reality deviate from that which we know. It is both a response to existential terror and a meditation on the expansiveness of the cosmos. As a photographer, I have come to realize that my interest lies not just in the taking of photographs but the ways in which the act of photographing allows one to be within a space without the pretense or necessity of knowing. This act allows me to better dissect the world, to ask deeper questions and bring them to a world beyond just myself. Photography isn’t a tool through which one understands, but rather the surface through which we all see. It is the veneer of facts, a basis of science- structurally- it is evidence of nothing, but holds the empiricism of manifestation. Photography is the exterior, it is never the real. What it does is, it allows me to look a little bit longer, ask a few more questions- of myself and of what I am looking at. It forces me to question what I believe; what I think I know. Photography is not truth, and it is not a lie, it is all the things in between that- it is the gap between knowing and seeing. It is the trouble with assumptions and the seduction of sight. The story I am interested in telling is one of living. Though I know that photographs hold no truth, they do hold what has been seen. To be able to see, and to process that sight is one of the many acts associated with living. These photographs are acts of seeing in which the body holds the weight of the story. The action of the photograph remains unknown, and the individual stories that have led to this moment remain unknown as well. But we can muster, we can muse, we can see ourselves in these bodies and remember our own stories similar to those presented.